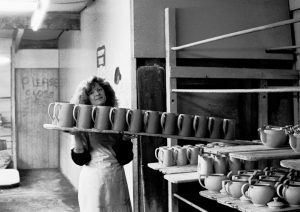 These are photographs from an exhibition ‘Pottery Workers’ shown at Keele Gallery and the Gladstone Pottery Museum, Stoke-on-Trent in 1994. Many of these photographs are in the Collection of the Library and Archives, Stoke on Trent. ’Farm Women’ 1994 -5 (Somerset Museum of Rural Life , Exeter Art Centre and Newport College of Art). 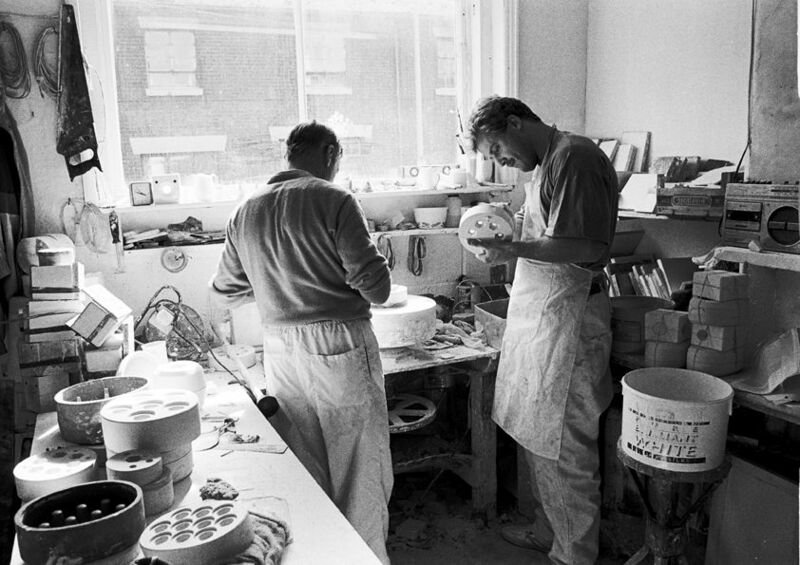 ‘PotteryWorkers’ (Keele University and Gladstone Pottery Museum) 1994. Exhibited in ‘Resourceful Women’(Staffordshire University) 1995. 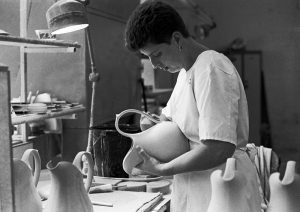 ‘Tracing the Blueprint’, with Hilary Burns, the basket-maker (the Guild of Devon Craftsmen (2011) and (the Museum in the Park, Stroud) 2014.